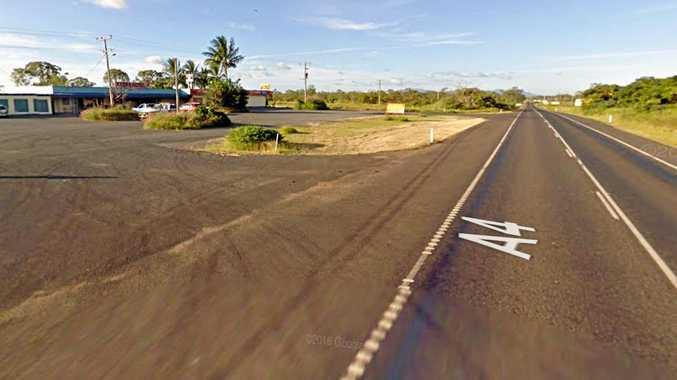 AN elderly motorist who police said drove through a give way sign caused a series of events felt across the Rockhampton region yesterday morning. The man, aged in his 70s, was taken to Rockhampton Hospital with minor injuries after colliding with a truck on the corner of Alexandra and Maloney Streets. The truck subsequently destroyed a power pole stay wire before going through the fence of a nearby business and coming to stop after hitting another vehicle. A series of power lines in the area came down, causing the loss of power for a period to more than 800 customers. While most customers had power restored in about an hour, about 200 had to wait to the late afternoon. The fallen lines started a couple of grass fires in the area, which fire crews quickly had under control. And the power dimmed momentarily across the Rockhampton region because the incident had occurred on the primary 66,000 volt network. A Rockhampton police spokesman said the crash would be investigated. He said the truck was heading south along Alexandra St, while the Ford sedan was moving north along Maloney St. It appeared the driver of the car had gone through a give way sign, police said. Ergon Energy corporate communications spokesman Bob Pleash said Ergon crews were quickly on scene to make sure the area was safe. Mr Pleash said they worked to restore power to affected customers.